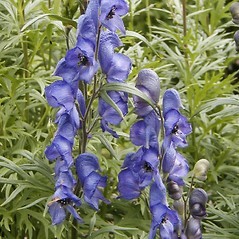 Garden monkshood is native to western and central Europe, but is grown widely in North America as a garden ornamental. 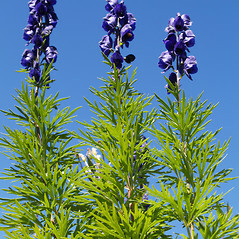 Its showy spires of deep purple flowers are striking in late fall; the hood-like shapes of the flowers give the plant its common name. 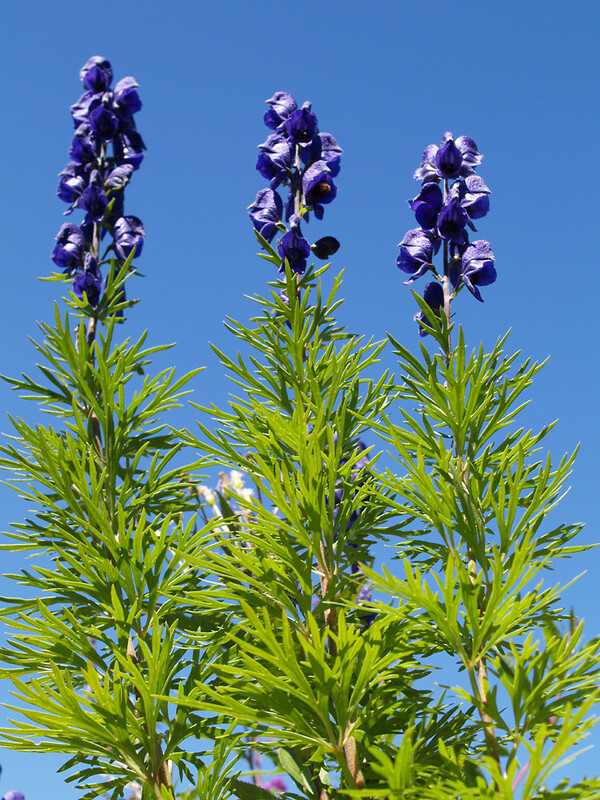 Although extracts of the plant are used homeopathically in low doses to treat imflammation, these compounds are poisonous -- even deadly. 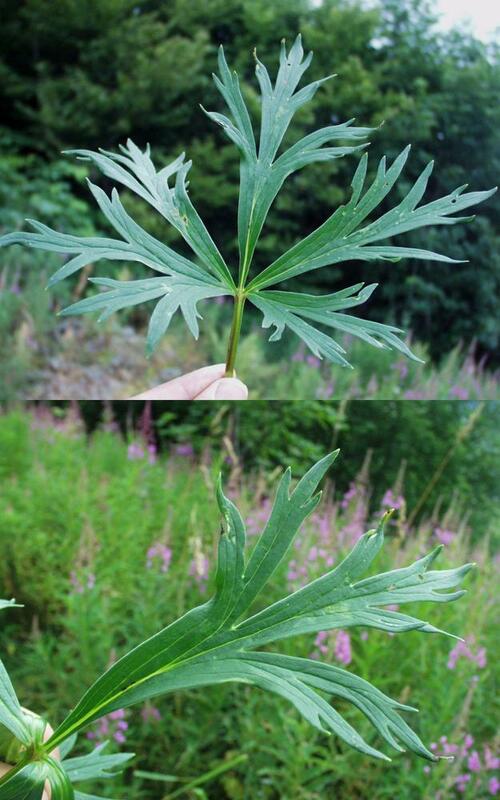 leaf blades lobed with moderately deep sinuses, usually with more than 2 mm of tissue from the base of the sinus to the base of the blade, the central lobe toothed or lobed with sinuses extending less than ½ the distance to the midrib of the lobe (vs. A. napellus, with leaf blades compound or lobed with very deep sinuses, usually with less than 2 mm of tissue from the base of the sinus to the base of the blade, the central leaflet or lobe lobed again with sinuses extending more than ½ the distance to the midrib of the lobe). 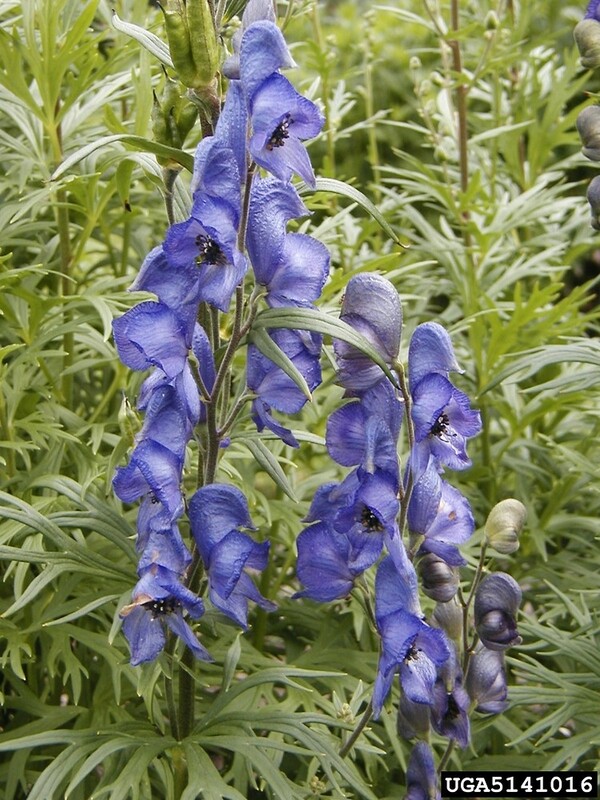 garden monkshood. 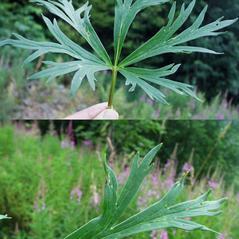 CT, Ma, Me, NH, VT. Fields, roadsides, waste areas, yards, forest fragments. This species was reported from RI by Kartesz (1999), based on George (1997); however, George (1999) stated it had questionable naturalization in RI.